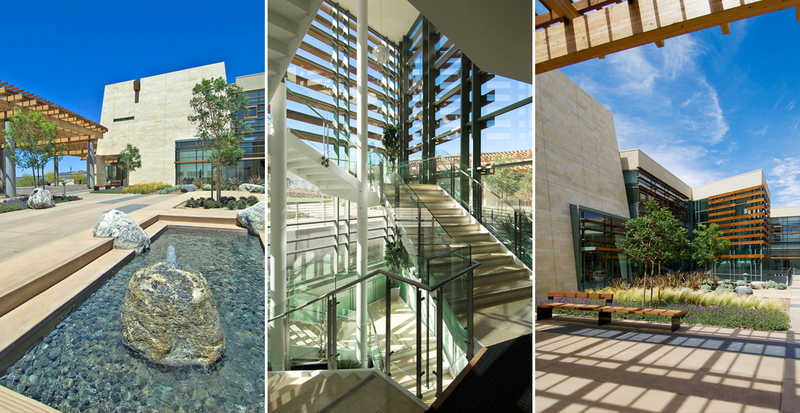 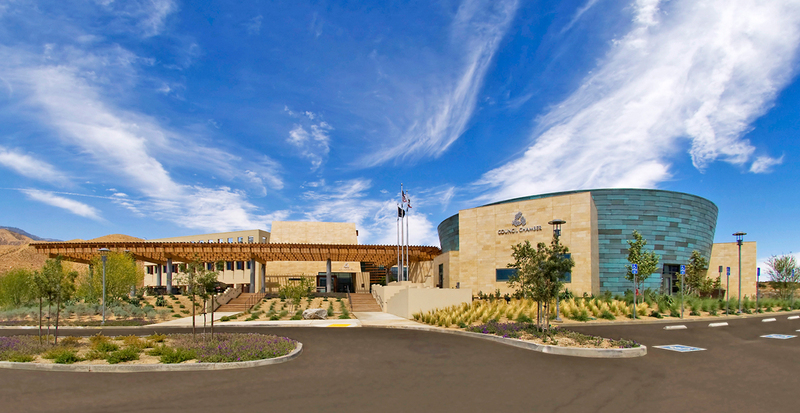 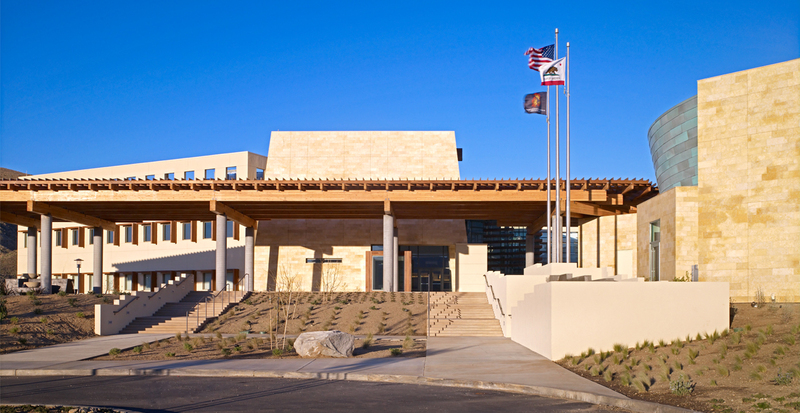 Designed the largest civic building for a sovereign Indian nation in California. 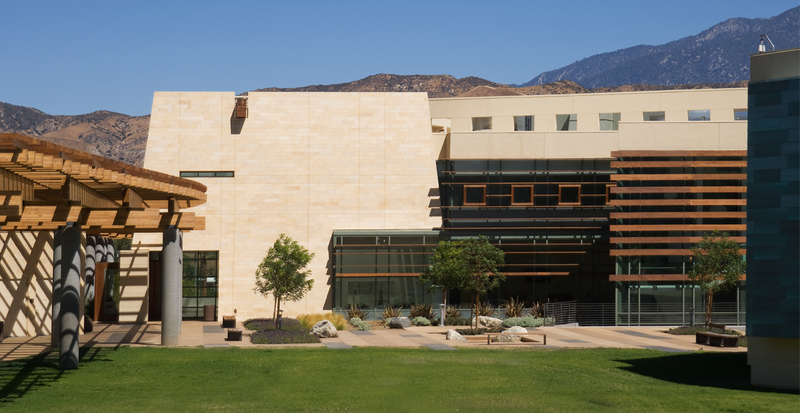 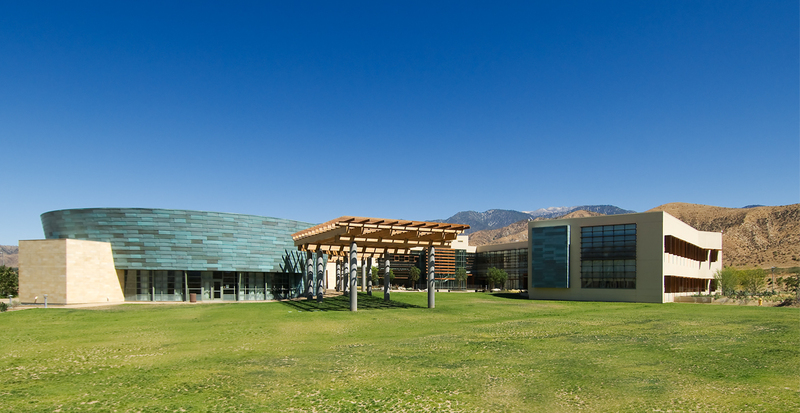 Designed to recall the character of the indigenous architecture of the Native American tribes of the southwest United States, but executed in a way appropriate to contemporary building materials and technologies and its striking desert setting, the Administrative Complex for the Morongo Band of Mission Indians serves as the “City Hall” for the reservation in Banning, California. 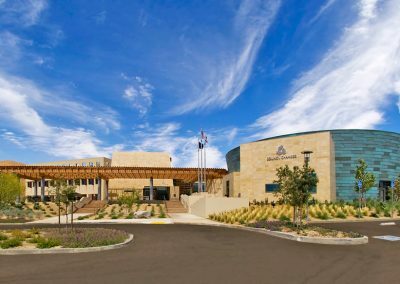 The Administrative Complex consists of a 68,000-SF administrative building with an 8,000-SF tribal meeting hall that are the center of the MBMI tribal affairs. 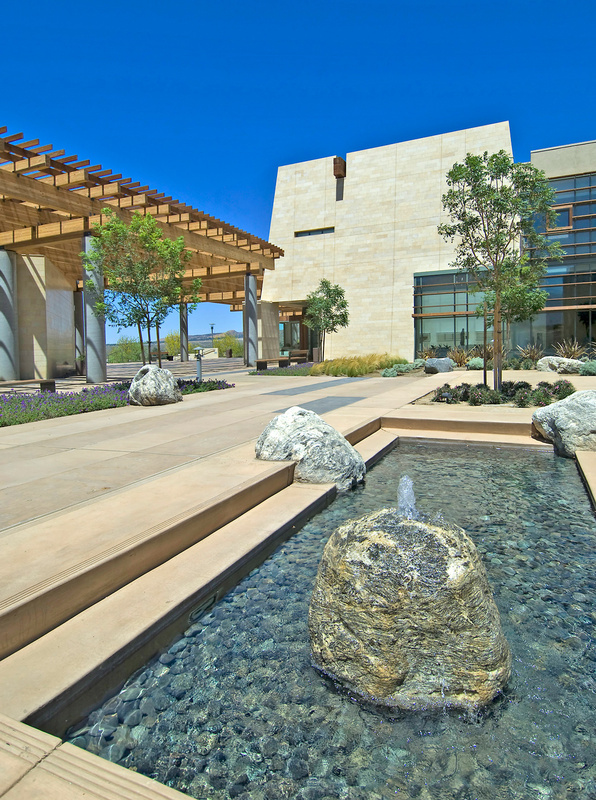 The buildings’ primary forms, materials, and compositional image as a grouping of buildings, defining a courtyard, support the sense of a community and the continuity of that community with its past, present and future. 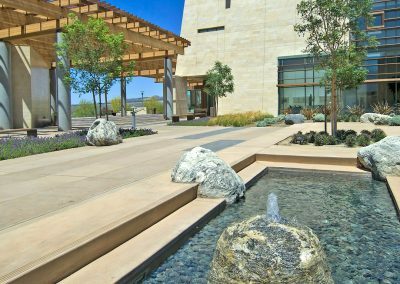 The project celebrates, in a non-literal way, the artistry of basket weaving for which the tribes of California are renown. 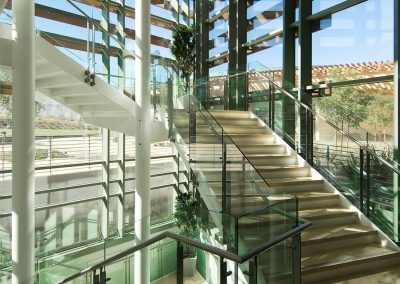 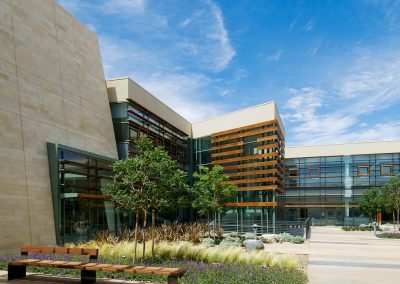 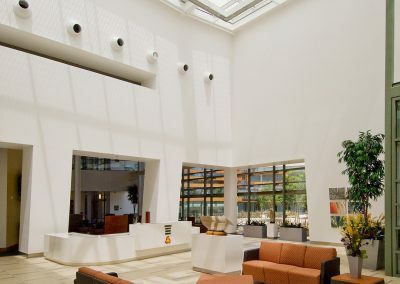 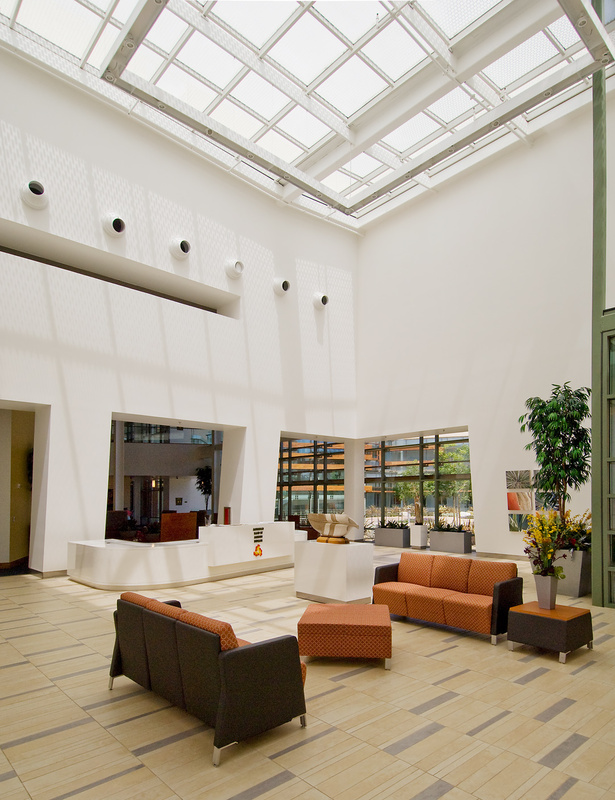 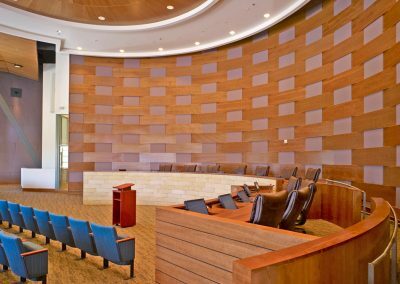 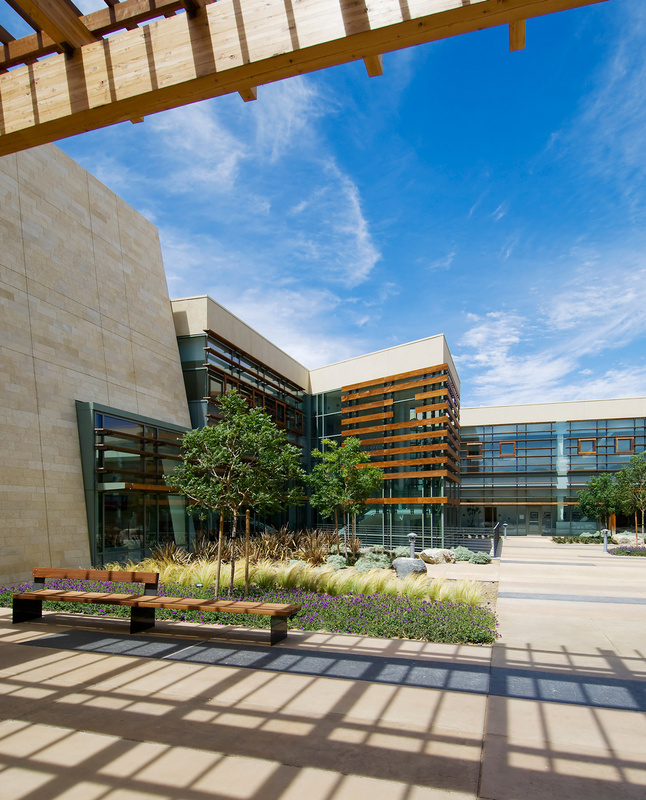 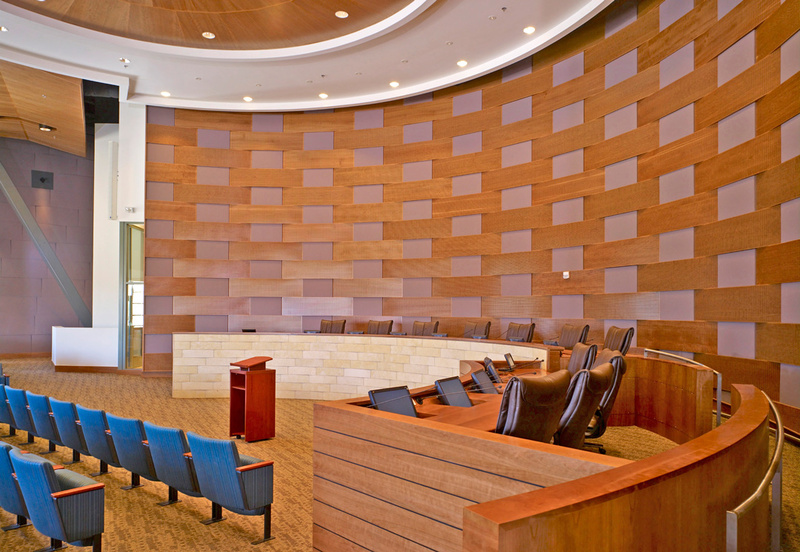 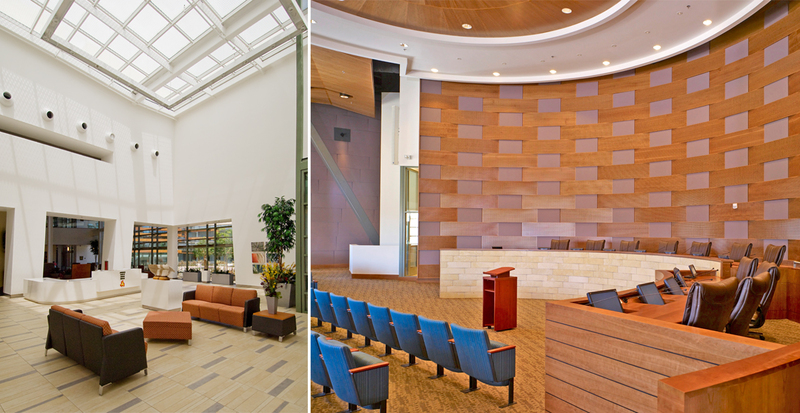 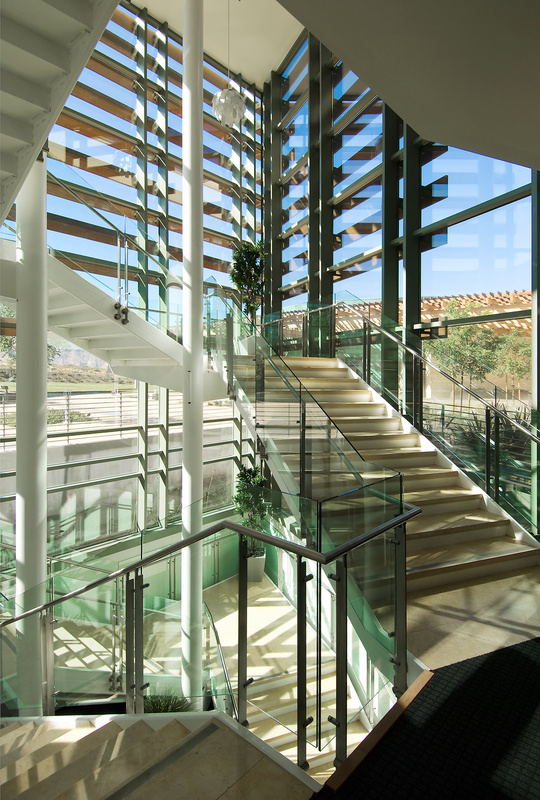 Gruen Associates provided Planning, Architecture, Landscape Architecture and Interior Design services for the Administrative Complex which also includes a Justice Center facility.